People in financial difficulty often get behind on regular living expenses, like their utilities. Can these bills be wiped out along with the credit cards? They sure can! Like any other general unsecured debt, the electric or phone bill can be wiped out in bankruptcy. But there can be a catch. The bankruptcy code allows utilities to demand payment of a security deposit as against future services within 20 days of the filing of your bankruptcy case. These deposits can be anywhere from $250 to $400 on average. The problem that can arise is where the amount owed is rather small. After the bankruptcy is filed, the utility will often close down the old account, opened a new one, and demanded a security deposit in excess of the amount owed! The lesson here is that if you owe the company less than the security deposit, then just pay it before you file bankruptcy. This should then not trigger the security deposit provision of the bankruptcy code (because you are not seeking to discharge a balance) and allow you to continue on the same account. If, on the other hand, you owe MORE than the average security deposit (i.e. more than $400), then list the debt on the bankruptcy and pay the security deposit later. You will save money. Sometimes, however, the bill can include payment for something like a water heater and not the provision of gas or electric power. In this case, you should talk to an attorney about whether you should pay the utility portion of the bill and list the balance on the water heater. If you live in South Jersey and are considering filing bankruptcy, please feel free to call me at 856-432-4113 or contact me through this site for a free consultation in my Woodbury office to discuss your case. ?Can I file bankruptcy on a car loan when the car was totaled? ?What Happens If I Can No Longer Make the Plan Payment in My NJ Bankruptcy? 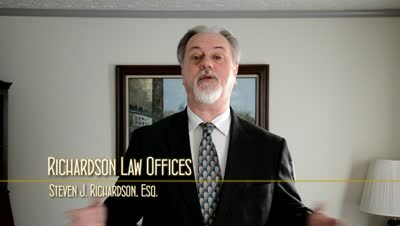 ?What do I do if my spouse files for divorce while I am in bankruptcy? ?What if I filed bankruptcy before? Can I file again?